They say the more you know, the smarter you grow. I couldn’t agree more, which is why I love reading faith-based books. 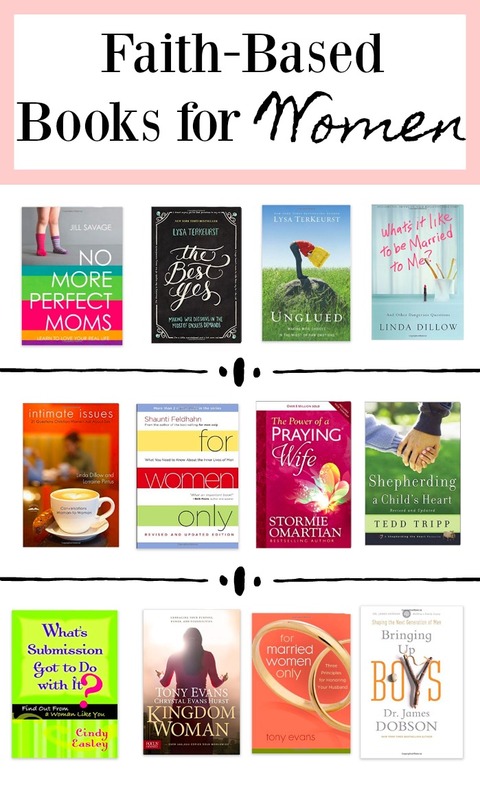 Over the last 9 years I have learned and grown so much by investing in my marriage (and now motherhood) and taking the time to read the below faith-based books for women. I know I normally don’t post on the weekends, but so many of you asked for Jordan’s and I favorite books and study guides that today I am sharing some of my favorite books for women (don’t worry, I will also be sharing my favorite books for couples as well). This past week Jordan and I went live on IG stories. We both had so much fun, that Jordan wants to do it again! Haha!! Y’all also loved him so much that I’m convinced y’all like him more than me. Just kidding, sort of. We always love sharing our story, our testimony and what God is doing in our marriage. So make sure to stay tuned for more videos of the hubby and I. As far as the books for women I listed above, I have read each and every one of them, and they are all great books! I truly hope you enjoy reading them as much as I did. Thank you so much for stopping by, and have a great weekend! I don’t follow a faith, but I feel like these are such uplifting books for anyone. Great list!